Our brackets and gingerbreads turn ordinary shelving units into eye-catching architectural accents with character and charm. 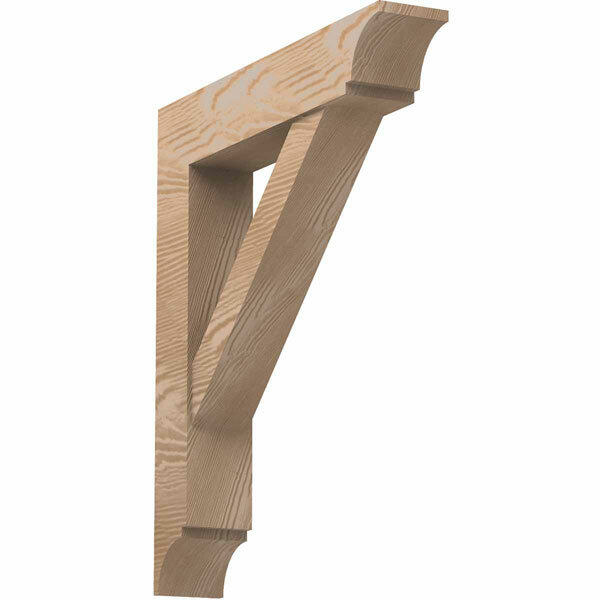 This bracket is molded in durable, lightweight urethane, with precise detail. This bold triangle bracket features negative space and a detailed end. Our urethane brackets are suitable for outdoor projects, and they bring you years of enjoyment. Durable urethane is a great alternative to traditional architectural materials, such as wood and plaster. Our brackets and gingerbreads resist cracking, chipping, and water damage. They are delivered to you ready for painting or faux-finishing.